This kind of industrial decorative colored glass products is a reality color product. It is used for swimming pool, park, metope, doorcase pole, gardening potted plan, screen, and other decoration, such as Garden Courtyard Landscape Colored Glass Beads. glass stone, glass rocks, glass polished stone, Recycled Crushed Colored Glass Beads, MOP for terrazzo wall, flooring, pool coating and decoration use. 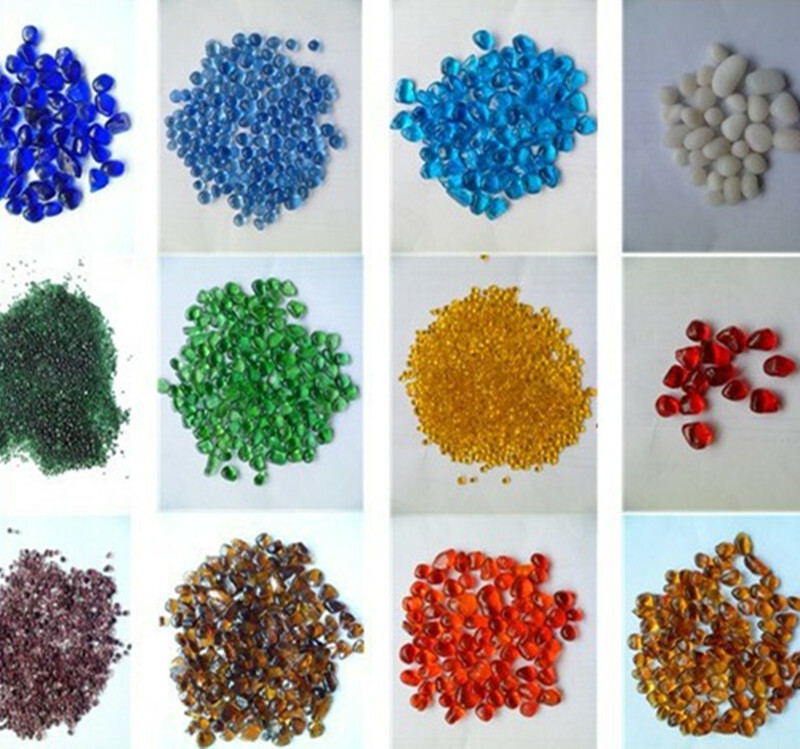 More than 30kinds of Colored Glass Beads, glass chips, glass pebbles, clear, shiny, frosted, glow-in- the- dark glass blocks and glass chippings, flat gems, flat beads, glass sands, mirror chippings and MOP chips, Mother of pearl chippings and stone pebbles. Size for 1-3mm, 3-6mm, 6-9mm, 12-14mm, 9-12mm, 20-40mm, 40-100mm and 10-60cm or up as requirement. 40 bags in a wooden pallet with plastic film enlace. Looking for ideal Swimming Pool Irregular Colored Glass Bead Manufacturer & supplier ? We have a wide selection at great prices to help you get creative. All the Garden Landscape Glass Pebble are quality guaranteed. We are China Origin Factory of Tempered Colored Glass Block. If you have any question, please feel free to contact us.